Most serious writers and online publishers are relentlessly on the prowl for fresh inspiration to fuel both their creativity and productivity. 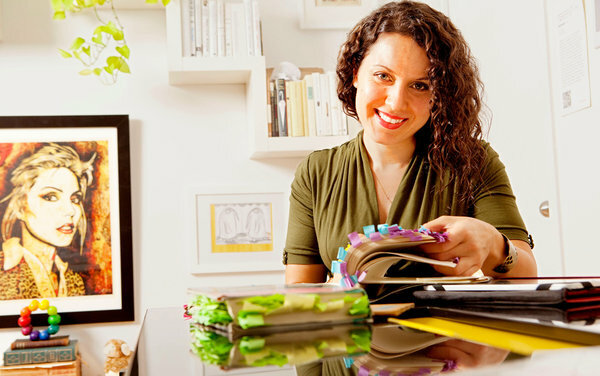 If you aren’t familiar with the writing of Maria Popova, prolific author of the “discovery engine for interestingness” known as Brain Pickings, you’ve been missing out on some of the most fascinating and heady publishing on the web. Ms. Popova is a wellspring of knowledge and she daily cross-pollinates a wide variety of disciplines, all in the spirit of creativity and discovery. She has contributed to Wired, The Atlantic, is an MIT Futures of Entertainment Fellow, and was named to Fast Company’s 100 Most Creative People in Business (among many other accolades). Although she began her professional career in advertising, she found the DIY integrity of publishing her own website far more rewarding, and her indie work ethic has contributed to a growing legion of fans (including quite a few celebrities). Maria admits to putting in some exhaustive hours to get where she is today, and we are honored that she took the time to stop by The Writer Files. In this installment of our Q&A, Maria Popova shares her thoughts on a lifetime of “research,” the power of ritual, the toxicity of approval, and much, much more. That said, one thing I’ve honed over the years – in part by countless hours of reading and in part because I suspect it’s how my brain is wired – is drawing connections between things, often things not immediately or obviously related, spanning different disciplines and time periods. I wouldn’t call that “expertise” so much as obsession – it’s something that gives me enormous joy and stimulation, so I do it a great deal, but I don’t know if that constitutes expertise. Because Brain Pickings is simply a record of my own curiosity, of my personal journey into what matters in the world and why, it’s hard to quantify how much of my life is “research” – in fact, I feel like all of it is. I just had tea with someone – a writer whose book I’d written about and who reached out and wanted to connect – and that hour-long conversation gave me a dozen ideas to think about, to learn about, and thus to write about (including two books I already ordered based on our chat). Is that “research” in the sense that one deliberately sets out to find something already of interest? No. Is it “research” in terms of the unguided curiosity that lets one discover something previously unknown and succumb to the intellectual restlessness of wanting to learn everything about it? Absolutely. And I think that’s part of our challenge today, not just semantically but also practically – we tend to conflate “research” with search, which is always driven by looking for something you already know you’re interested in; but I think the richest “research” is driven by discovery, that intersection of curiosity and serendipity that lets you expand your intellectual and creative comfort zone beyond what you already knew you were looking for. I have music on all the time (unless I’m transcribing archival audio), with various playlists for different purposes or moods. My taste is too eclectic, both across genres and eras, to list specific artists. But, I’m an incredibly loyal listener – some of the songs in those playlists have gotten more than 10,000 plays over the past few years. Familiar, beloved music – much like habit or ritual – is a remarkably powerful creative grounding force, I find. Anywhere between three and eight hours. It’s hard to separate the reading and research part of the process from the writing and synthesis one. The osmosis of the two is where the magic happens – that place where you pull existing ideas together into a mesh of insights that germinates your very own point of view, that illuminates the subject in an entirely new way. Is that reading? Writing? Or some other form of sense-making we don’t yet have a word for? Ironically, I prefer to write earlier in the day, but find the onslaught of email too overwhelming – even though I can’t possibly even open everything, just the awareness of it being in my inbox is uncomfortable. It’s hard to retreat into a quiet corner of your own mind when you feel demanded of. So I tend to write later in the day now, often well into the night, when email is quiet. The dark, too, is somehow grounding – I’ve always found lucubrating strangely meditative, like a bubble of light that envelops you and silences the rest of the world. I publish three articles a day, Monday through Friday. All are pre-scheduled and pre-written, some weeks in advance and others the day before. I try not to write on Fridays, which I reserve for email and meetings. I think the operative word here is “believe.” If you fixate on it, it’ll be there. It’s kind of like insomnia – the more you think about not being able to fall asleep, the less able to fall asleep you become. The ability to connect the seemingly unconnected and meld existing knowledge into new insight about some element of how the world works. That’s practical creativity. Then there’s moral creativity: to apply that skill towards some kind of wisdom on how the world ought to work. That’s what my side project, Literary Jukebox, celebrates. Though it’s impossible to name all, some are Susan Sontag, Anaïs Nin, Carl Sagan, Henry David Thoreau, Stephen Jay Gould, Annie Dillard, Mark Twain, Henry Miller, Debbie Millman, Andrew Sullivan. Practically everything in Tolstoy’s Calendar of Wisdom is words to live by. By never ceasing to be curious because “I know” – but, at the same time, by reconciling this with the knowledge that I’ll never be able to “finish” all of literature, or the Internet, for that matter. That, I guess, is tied to my aspiration not only as a writer, but as a human – to be more comfortable with the open-endedness of life. I’ve been obsessed with the diaries of Susan Sontag, Anaïs Nin, and Maria Mitchell for a while. And old, out-of-print anthologies of letters: Raymond Chandler, Edna St. Vincent Millay (oh Edna! ), Anne Sexton. The best writers (or artists, or scientists), I find, are also extraordinary philosophers full of timeless wisdom on the triumphs, tribulations, and imperfections of being human. Curiosity without ego, and generosity of spirit. No amount of talent is worth anything without kindness. I don’t procrastinate when it comes to reading and writing. Having a daily rhythm of such intense pace makes that practically impossible. I keep a comprehensive editorial calendar that stretches weeks, months, and sometimes well over a year into the future, where I plan my reading (and thus my writing) – book releases, notable birthdays, anniversaries of important historical events. I resort to the completely unoriginal yet completely comforting blend of yoga class and a cozy evening with my partner or with Anaïs Nin’s diary. I grew up in communist Bulgaria. My family didn’t have much when I was little and though communism fell in the early 1990s, things didn’t change much. Going to college in the U.S. was a challenge to begin with, especially an Ivy League school where most of my classmates came from families of privilege – a trying test of withstanding the inevitable erosion of self-esteem that befalls a young person who doesn’t “fit in” in such stark ways. But having to pay my way through school by working up to four jobs at a time taught me a great deal about making do, about time management, and about the difference between what you’re good at versus what makes your heart sing. There’s nothing like being tossed into necessity to help you figure out who you are and what matters most in life – necessity may be the mother of invention, but it’s even more so the fairy godmother of self-invention. Not having relinquished the hope that happiness is possible. Waking up excited to do what I do. Going to bed satisfied with what I have done. And, okay, it was rather gratifying when the Library of Congress included Brain Pickings into their archive. We’ve created a culture that fetishizes the new(s), and we forget the wealth of human knowledge, wisdom, and transcendence that lives in the annals of what we call “history” – art, literature, philosophy, and so many things that are both timeless and incredibly timely. Our presentism bias – anchored in the belief that if it isn’t at the top of Google, it doesn’t matter, and if it isn’t Googleable at all, it doesn’t exist – perpetuates our arrogance that no one has ever grappled with the issues we’re grappling with. Which of course is tragically untrue. Susan Sontag. And who knows where the evening might take us. Henry Miller’s library in Big Sur. Writing is meant to move the heart, the mind, the soul – not the page-view meter. I’m fortunate – biased, perhaps – in having always approached my writing as personal development rather than business development and always having written for this personal audience of one. Everything external has been a byproduct rather than an objective. So the most critical thing an aspiring writer can do, I think, is to always know why he or she is doing it and for whom. It’s fine to find gratification in the approval of others or in financial success or in any other extrinsic reward, but it’s toxic to make that approval or prestige the motive to write. A writer has the duty to be good, not lousy; true not false; lively, not dull; accurate, not full of error. He should tend to lift people up, not lower them down. Writers do not merely reflect and interpret life, they inform and shape life. Ms. Popova, thank you for a glimpse into your inspiring creative process! Photo by Elizabeth Lippman, provided by Ms. Popova. We have more Q&As on tap from writers who inspire us, and if you want to dig into our archives, you can find more inspiration here. If you’ve already subscribed to Copyblogger via email or RSS, the next installment will be delivered to you just like the rest of our daily content. Now put on some familiar music and get back to work! See you out there. I have one question for Maria, is she sees this, hope she’ll answer… If research and writing is your life, what would you say is the most challenging part of your blogging/business at the moment, and why? Plus, when did you start to build your “tribe” (mailing list, mainly) and what did you learn back then? It is great that Maria gives credits not only to people from literature and writing world, but also from music world that shows her versatile personality. No wonder that she is cross=disciplinary and intelligent in writing getting together different fields such as design, technology, philosophy, history, politics, psychology and others. I give thanks for this site every single day! I also contribute to it ( and suggest all others who love it do also) as it comes across my screen without anything blinking, talking, or those take-no-prisoner display ads. It is a joy to see the diversity of topics and links to original material on a daily basis. How she does it, I do not know, but I just hope she can keep on doing it. Her site celebrates creativity and her own is embedded in how we all are allowed to consume this diversity in such a quiet but inspiring way. Inspirational and important. Thanks for sharing! Ditto Jani’s comment…Ms. Popova is a true artist who creates because she must. My admiration for her ethos is best expressed in someone else’s words: “We learn to do by doing.” ~ Aristotle. Thank you Kelton. Thank you for tuning in to the series. And I firmly agree with you. Maria’s single-pointed intention is inspirational and intimidating. Thanks for the insightful interview. I follow Maria on Twitter and I’m in awe of her productivity and creativity. I was beginning to think her site was a “Huff Po”- like empire of writers but I’m amazed to find out she produces 3 articles of such quality and depth every day. Note to self. Get off Facebook. Get off Twitter. Start writing…. Thank you for this in depth interview. I feel exhausted just reading about her process…yet inspired. I read Brainpickings obsessively. Brainpickings makes me feel like a student all over again, in the best way possible. And her writing breaks down the most complex subjects into a language we can all appreciate and understand. This interview helps me get to know the author better. Feeling inspired! 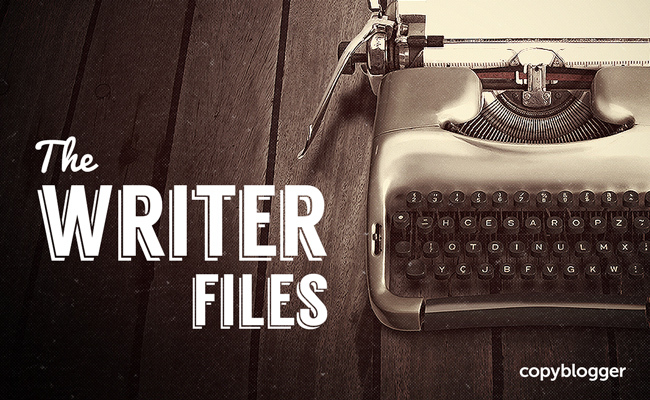 I’ve been longing to read a new blog post on The Writer Files. I’m so glad to be reading another one today. Thanks a lot Kelton. To say Ms. Popova is intelligent and creative is a gross understatement. EVERYTHING she says is nearly quotable. Maria, did you move to the US as a small child or when you went to college? I suppose your knowledge of the English language comes from learning by doing? This series is like The Paris Review’s “The Art of ___________” series. _________ being fiction, poetry, theater, what have you. Wow, wow, wow! Resourceful article. I could hear the passion of her work leaping off the page. Thank you for sharing. There is definitely some fire to her intellectual curiosity and intensity. That is why her writing works so well. Brain Pickings is one of my favorite “newly founded” websites. And I really appreciate the twitter feed. Though my reading is mostly confined to blogs, I have a thirst for learning that I relate to in her. She’s a thinker and I really enjoy how she combines different ideas. By the way, Big Sur is one of my favorite places. The air is clean there and the smell is heavenly. Unfortunately, I’ve never been to the Henry Miller Library. This was a great blog post and I think it needs to brew a bit in my mind. Excellent Interview. She brings so much interesting things to us. She is a treasure. She has made dead authors, artists and intellectuals very famous. “We’ve created a culture that fetishizes the new(s), and we forget the wealth of human knowledge, wisdom, and transcendence that lives in the annals of what we call “history” – art, literature, philosophy, and so many things that are both timeless and incredibly timely.” – soo true! Excellent talk, thank you! Maria and Kelton, wonderful piece here! I resonate with working, long, and persistently. Genius develops over many hours, over many years. I also vibe with her general idea of being observant. I create 50 to 60 minute-long videos each day and post to my blog. Ideas hit me frequently because I practice observing, being aware of all happening in my life, here and now. By being aware, I can create 5 videos after being inspired by this post. Easy, really, and it becomes easier if I practice looking deeper and deeper into the moment, to make connections between the stories in my life today and the online business world. Spot on interview with some real gems. I recently discovered Brain Pickings and appreciate this post! This seems counter-intuitive to those who advise writers to post once a month, twice a month, or three times a month. Maybe there isn’t a right or wrong number of posts you need to post. Perhaps you should just stop listening to others and do your own thing. Follow your inner guidance. Thanks again for the insightful interview. I was inspired by Popova’s comment that she schedules her reading far in advance—what a great idea, and a great push-back against the “presentism bias” that she mentions. Amazing interview, there was a lot of insightful advice. Loved the quote “An expert is a man who has stopped thinking because ‘he knows.’” I will definitely remember that as I’m writing. I love the idea that you can’t procrastinate if you don’t have time. It’s rather a kick in the pants to the rest of us. If you find you’re wasting time, clearly you have too much of it. Give yourself more to do. Readers First the very first and the last tool for smart content. I couldn’t but agree what tips and advice Maria has stated. Quite engaging and informative questions asked by Kelton. Thank you for this honour. I’ve been reading Brain Pickings for a few years now and it always delights me. The sheer depth of information, gorgeous illustrations and textured writing is a joy to read. Maria’s focus and hours of work every day are astounding. Loved this interview – great questions and really pleased you interviewed her – she deserves all the coverage she gets. To me, the most impressive thing about Maria is not her creativity. She’s certainly creative in the way she pulls ideas together and meshes them in new ways, and that’s tremendous. Yet ultimately her ideas come almost exclusively as reactions to books that she reads. Where she really astonishes me is in her productivity. That ability to process so much input and then churn out thoughtful, well-written, and plausible interpretations is amazing. We all know it can take hours to produce a really good post. I can’t keep up with all of her content but she actually produces it. I guess I’ve learned from her that there are ways to organize and be incredibly productive. I just fell in love with this woman. You have inspired me to read more. Just when I thought I was doing enough. You come along and raise the bar. Thank you for being transparent and sharing. I can’t thank you enough for publishing this post. It was an eye-opener. It is great to know what writers out there are actually doing with their lives; how they are contributing and adding value by publishing great content. This series is valuable. The timing is just right. Just what the doctor order. You are performing a noteworthy service. Another writer you may want to interview is Ali Luke of Aliventures fame. She is darn good at what she does and knows it. She has been active in the blogging community for years and has been featured on your blog as a guest writer several times too. Ali can contribute to our knowledge about what makes for great commercial writing as well as creative writing. I think your readers and subscribers would welcome your decision to feature her. Please consider Ali. Thanks. Cheers. Sorry, I forgot to mention: Maria’s blog, namely, Brain Pickings, is one I came across recently. If memory serves, I followed a link provided by a writer. Instantly, I enjoyed reading her work. Today, I count myself as one of her fans and subscribers. Thanks for your contribution. Please keep up the great work. And here’s wishing you all the best in your life. Cheers. What a great and inspiring article. As much as I would like to commit as much time to writing, most business owners are also busy managing their businesses. What is important is to find a balance. Even with all the automation tools available, I can’t commit as much time as I’d like to creating content. The key for me has been to take the time to decide what tasks I can delegate to other team members. I’m kind of a control freak but I’m getting better. Great interview and wow! What a writer! I’m a full-time teacher and only have time to write a few thousand words per week. But to write a few thousand every day? Amazing. I noticed that we share the same tools: A Macbook Air and an iPad Mini. It makes writing and blogging very portable. Amazing inspiration and ideas for any writer. When I see the writing schedules and her momentum for reading and writing it gives a tremendous motivation produce more and more content for social web. Thanks for this! Very inspiring and just what I needed to read today. I’ve long admired Brain Pickings and if possible, after reading this interview I’m an even bigger fan. I was reluctant to read this at first. Some of the others were disappointing, so I was not keen on reading it. I am so very happy I did. To find someone who likes both Henry Miller and Anais Nin! Fantastic article! Maria Popova had a keen mind and I enjoy Brain Pickings every chance I have to do some reading other than research and other writing resources. Thanks for highlighting her writing life. Writer Files is one of those that I look forward to reading. Not only am I learning from different kinds of writers, but they inspire me as well with their life stories. And although I am unfamiliar of Maria Popova(I am seriously sad), I am amazed with her story especially with her philosophy.